Motivosity is a peer-recognition software solution used by companies to improve employee engagement, company culture, and employee motivation. "Excellent way to create tighter teams"
The best part about Motivosity is the ability to thank someone for extra work, or even just the required work on a deadline, in a tangible way. The rewards can add up to become real usable funds. Just a few weeks ago I was able to get some gas in my car because of a gift card I got from motivosity. I have seen people buy their kids shoes and if your willing to spend the cash online its easy as pie. Just take the "virtual card" and use it online at any retailer, or add it to your E wallet. If you prefer to have a real card you can get one just take 3 extra dollars than you get on your card. For instance if you want 20$ on a Amazon gift card you would just spend 23$ of Motivosity bucks to get it. When you first go to thank someone it lists a few categories to choose from. I wish those categories could be expanded to more fit a more fluid environment. Would be really nice if I could add custom reasons for giving gifts to fellow employees. I would spend the time to walk employees through a training period, Make sure that everyone has a good understanding of how to use this tool. The 15$ a month that the companie gives you to gift to others is fantastic! An excellent benefit, and I would say business problem common to medium to large companies, is the lack of connections and appreciation that you can give and receive when two different project teams have to come together. It becomes pretty easy to let a member of another team know that you appreciate them with Motivosity. Motivosity provides an opportunity to give immediate recognition for individual "acts of greatness" that happen everyday but often go unnoticed or unrecognized. It allows peers to recognize each other in a timely manner and provides for both public and private recognition which creates a very personal touch when people get motivosity kudos. It's also a fun way to show someone you care about who they are and what they do. Motovisoty is seen as a facebook with token dollar rewards. This tool should be messaged as an employee engagement and recognition product that is meant to show appreciation to your people while encouraging communication and excitement about what they do every day to contribute to positive workplace cultural growth and workplace quality of life. The ability to say thank you quickly and being able to tie actions into our core company values so people can see, in real time how the every-day things they do are aligned with cultural values. There is a bit of fun when it comes to using Motivosity to reward and incentivize activities. Bonuses are a great way to reach goals. I like having a tangible item at the end of accruing recognition. It's also a great way to learn about other team members through the profiles and personality assessments. Motivosity can still be used incorrectly, which hurts everyone. It works best when it's not used selfishly. I wish there was a way to prevent this from happening, but that is how people are. Good communication and goals for using Motivosity would help its acceptance and use. A clear plan and examples for when to give recognition would be helpful. Have a champion in the company keep the product at the forefront of the users to keep engagement. When it comes to service and support, being thanked is valued. It fills the gap where a big bonus is not warranted, but recognition within a team is needed. What Employee Recognition solution do you use? I really like how this is a way to feel appreciated at work. Nothing beats seeing that someone liked something you did at work. It is also a great way to let your employees know that you are aware of what they are doing and that they are doing a great job. The only thing that is a little frustrating is sometimes when I am searching for people the search function either does not work, or it takes a while to find them. One minor thing is I feel the mobile app could use some work, it seems a little archaic to me. I would recommend to increase the amount your employees can give away, It really boosts moral when people are giving to each other. I would also say to be cautions of people who only give to a few people and try to help them to look for others to give money to. You never know who is having a bad day and might benefit from being recognized. It is very helpful with having a public and private way of letting your employees know how they are doing and it helps you can attach a monitory value to it. I have had several employees come up to me and let me know that it meant a lot to them to see there superior recognize something they did great at. "Motivosity Fits our needs perfectly"
Motivosity makes it so easy to reward people for company achievements as well as recognize coworkers for things that often go unnoticed. They have many options for gift cards and getting the gift card is simple and fast. Our contact from Motivosity has reached out to make sure our needs are being met and that we did not have any problems. I would like to be able to pull the reports out of motivosity into a spreadsheet to be able to see more data. This has a web based platform and a mobile platform that are both user friendly so your employees do not spend too much time on figuring out how to use it and can spend more time working on improving your business. It also improves the time HR spends distributing rewards. Allows us to quickly reward for company achievements as well as gives employees an opportunity to recognize and appreciate coworkers for things that might go unnoticed otherwise. Also makes rewards for health challenges simple to give out. I love how easy it is to thank someone. If someone does something good or helpful, you just thank them. You can thank your whole team as one or you can thank each person individually for separate things and it doesn't feel cumbersome because of how easy it is. One of the biggest things that I disliked ever since the first time I got on was the fact that the "make private" button looks active without you having to do anything. It is grayed out, however there is a check mark already in the box. You only realize it's not private after you send the thanks, after which you try again to make it private and realize that when you press the "make private" button it turns it green and active. I think the biggest thing that threw me off is the fact that it has a checkmark already in the box. I recommend trying it out. Everyone on my team had loved using it and it is also encouraging to see when other people in the company get thanked as well. This pushes me to work harder because I know of the good work they are doing and I want to be able to match it. I'm not sure of any business problems, but I've definitely seen benefits. It makes you want to continue to work hard and work well when your coworkers and bosses give you praise. Through this platform it makes it very easy to do this, especially when your team is spread out geographically. It can feel weird to send an email or text or IM just to thank someone sometimes, however through Motivosity you don't feel any awkwardness. "Very fun and engaging way to thank your coworkers"
One of the best things about Motivosity is that you can reward good things your coworkers/employees have done with gift cards. People love to receive gift cards. What is more, you get to choose what kind of gift card you want, whether it be to Amazon, Wal-mart, or a plethora of other places. Honestly, it is quite a stressful time deciding which gift card you want... But in the end, you'll have a nice gift card in your pocket. Something that is difficult is that you have a set budget to give to your fellow employees, it's oftentimes difficult to choose who to award with gift card moneys. Luckily, you can still recognize your coworkers without having to give money, in case somebody does something special but you already ran out. It is kind of disappointing to get recognized and not get money though. It might be good to consider how to implement this product. It is an excellent tool of engagement for workers, as it gives incentive to do well and go above and beyond what is generally expected, and it gives motivation to watch for people doing extraordinary things. It really is a marvelous tool, and at the end of a day, you are going to take home a gift card of your choice. The selection of gift cards provides great motivation to earn Motivosity dollars. I feel like the office is more cohesive as we are able to show our gratitude in a more open way, so that others can see why we are thanking some other person. More than anything, office cohesiveness and friendship has increased. Motivosity makes for an easy way for your staff to give each other microbonuses that are redeemable for gift cards at a ton of different stores, or even as a Visa card. Giving appreciation is fool-proof, as is redemption. You can also align the way you give bonuses to your Core Values as an organization, which I fold into my reviews. They also give you some pretty good data in the Insight section, which means you can see the flow of appreciates within and across teams. I don't like the way your "team" amounts to the people that report to your boss instead of the people you manage. I feel like some of the features that have been added since we adopted the platform feel more incidental instead of core to the experience (e.g., Awards and Wins). There are other platforms I'm sure, but I like Motivosity's development direction and ease of use. It's a great way to give specific kudos on the spot throughout the month instead of generic "attaboys." It allows me to keep track of kudos which I can use later during one-on-ones and reviews. I like having a forum in which I can recognize coworkers. I also enjoy having the opportunity to get to know coworkers better, especially from different branches of our company. I love when I receive a "thank you" from my supervisor, my coworkers, even those from our corporate office. I have heard nothing but positive responses from our team since we started using Motivosity. I am not technologically savvy, so I especially appreciate the ease of use. There is nothing I dislike about Motivosity. It is easy to use, doesn't take a lot of time, and we have had a positive response. i would recommend it to other companies. I think using Motivosity boosts morale. Our employees seem to enjoy it and they have the opportunity to earn points and redeem them for gift cards and merchandise. "Great employee add-on to other team-building activiites"
Motovosity is a great way to for employees to let their colleagues know that they're appreciated, as well as for supervisors to give their employees praise. It's always nice to see a positive message come through from anyone in my organization, and even nicer when there is motovosity $ attached to the message. I have accumulated a solid amount of money for various gift cards through Motovosity, and it's such a great work reward to have access to. I love the variety of choices that Motovosity has to offer in their rewards section. I think more could be done to engage employees. I'm unsure exactly how the point system works. It's easy to jump on and quick quick praise in order to receive feedback from others. Motovosity should consider prompting people to occasionally add some other tasks or form of engagement that gives employees/supervisors other methods to give and receive praise. It's a great way to generate some workplace engagement as long as you combine it with other activities that build workplace morale and connect employees. Motovosity adds to workplace morale and maintain daily communication between employees and supervisors. It can be a great tool to increase productivity and motivate employees to stay engaged with others in the organization. It also makes you feel good to give praise, so it really does offer positive workplace energy from all perspectives. Our office is small, but I imagine that Motovosity could be a very good fit for a medium-sized and large organization as well. Motivosity makes it possible for me to recognize my direct reports in a tangible way, multiple times a month. Additionally, it gives them an opportunity to recognize me as well which helps us to build and sustain relationships. I appreciate the daily digest which allows others to see our team wins as well. I also really like the mobile interface, it allows me to take care of my team on the go. Having used multiple platforms for employee recognition, I can say that I do not dislike anything about Motivosity. Try it for a while, I guarantee you will choose it. As an online institution, we had some difficulty in the past recognizing individual effectively. Motivosity allows us to motivate people in a manner that matters to them. Motivosity lets us recognize and lets employees choose. It's been very effective. "Motivosity is one of the best decisions we've ever made!" When you have multiple locations, it's difficult to keep everyone connected. Unity and camaraderie are important to us, and this program has filled in those gaps immensely. It's also difficult for managers, throughout the day to day grind, to find the time to make sure each employee is valued and to be able to recognize them. Sometimes that can fall to the wayside, understandably when you're busy... but Motivosity has provided them a way to express appreciation and make employees feel seen and appreciated... and to be able to have some fun with it! Honestly, there isn't anything I can think of. Any questions we've had about options in the website or app (that currently don't exist) are taken into consideration by their support team as things that could potentially be added in the future. They're always looking at ways to improve the site, even though it's incredibly user-friendly already. Have a master to-do list and a timeline organized for each thing. As well as who is involved in each thing (IT, Accounting, Admins, etc.). We started by testing the software with our Culture Committee to collect questions and feedback first. Then we rolled it out to managers. Then to our Executive Committee. We had all our contests planned (to encourage early adoption/usage) and by the time roll-out was upon us, we felt very ready! Communication has always been an area that we have wanted to improve upon, as well as making sure that employees feel recognized, fulfilled, and appreciated. This system has provided ways for people to interact in both arenas, on both a professional level as well a fun and personal level. If we are willing to keep this fresh by organizing contests, encourage meaningful engagement, and providing good rewards for all areas of both career achievements and personal milestones, I anticipate that we'll continue to see a positive difference in both things. "Fantastic venue to encourage and thank fellow co-workers"
The ability to reward my coworkers with real money and to recognize their accomplishments or to thank them for assistance that they have given. There's nothing to dislike -- it is very simple to use both from the computer or from a mobile device and there are a wide range of rewards to choose from. This is a great product for building company morale and encouraging a spirit of helpfulness. It is extremely easy to use and makes rewarding your peers and coworkers fun! The rewards are wonderful -- from Vanilla Visa gift cards to other store gift cards (Amazon, iTunes, Best Buy etc.). We are using this to solve the issue that verbal Kudos were nice, but don't have as much weight as a financial or gift reward. Our team adopted this immediately and really enjoy giving one another kudos and motivosity! We have also been using the ability to send Motivosity rewards to our Partners to thank them or give them gifts for birthdays or anniversaries. Motivosity was easy to implement, delivers a simple yet inviting user interface, and maintains a very low maintenance infrastructure. Motivosity is an outlet for building strong relationships, creating a forum for conversation that promotes better communication and teamwork, and allows us to show gratitude is a simple, sincere, and “fun” way. We have appreciated the exceptional direct customer service and technical support prior to, during, and post-implementation from the Motivosity team from the top down. Honestly, there is nothing we dislike. Every company big or small should have Motivosity and see for themselves the positive results it will have on employee engagement, morale and creating an inspiring and positive work force. Motivosity has truly contributed to our company’s success by providing an area to exercise the power of praise that integrates into our company’s culture. Motivosity has allowed us to put into practice our core values, making what we as a company hold important come to life. The peer-to-peer recognition and engagement framework of Motivosity has created enthusiasm and commitment from management to employees in living our company’s core values and driving results. The end results come from reinforcing and recognizing those who deliver exceptional service, externally to our customers and internally amongst all staff. "Motivosity is great to give little thanks to those in your company that help you out every day." Every day going around work there are many people that help me with my day to day job, some of those same people go above and beyond and help in extraordinary ways to make sure the our customers and our employees are taken care of. Motivosity makes saying thanks easy to do and has a way to attach a small reward to those thanks that are sent. It's hard to find something that i don't like about Motivosity, it can be a little hard to navigate at times, and for a first time user it can be difficult to find where to give someone a shoutout/appreciation. It would be nice to have a short video showing the basics so that first time users are able to watch and learn from it. Overall it's very easy to use and fun for the employees that use it. It sends reminders out to thank people, it sends weekly announcements about anniversarys or birthdays that are coming up, along with summing up the past week of thanks that were given. We had a Shout Out platform previously that wasn't used very often, but with Motivosity the platform is easy to use, and attaches a monetary reward to it that means more people use it and more people are thanking those around them for their doing their jobs. "Motivate and thank your colleagues and co-workers with Motivosity!" I like that there's a way I can show my colleagues how grateful I am for their hard work and dedication and help. Sometimes a verbal "thank you" isn't enough, and that's where motivosity comes in. I wish there were more instances in which to use the software. Right now, I only use it when I have money to give others, and even then I sometimes wait until the last minute and scramble to dole out the money I have to give instead of putting thought into it. It's a great software. It really is neat to see who is working hard and getting recognized. It helps reward people who have stepped up and gone above and beyond their job requirements. It helps motivate me to do more for my colleagues and company - especially if it means other people are going to see my contributions and what I've been rewarded for. Motivosity seemed silly to me at first, kinda like a way for businesses to do fake incentives, but once I started using it, I loved it. Getting motivosity was a bigger incentive than paycheck bonuses, because you can use it instantly, and it actually feels like a bonus, not like just part of the paycheck. We all call it our "free money" because we feel like it really is just bonus money, so we use it to go to lunch or buy fun things, which makes it an even bigger incentive! I don't like that some of the giftcards have to be bought in certain increments. So if I go to Chipotle, I have to get a $10 or $15 giftcard, even if my total is $9.30. What am I going to do with a $0.70 giftcard? Try it out! I really do love it, and so do all of my co-workers and our superiors. It makes incentives seem more real. Motivosity is more motivating than any other incentive that I've had. "Motivosity Helped Created A Team Atmosphere That Was Missing In Our Company Culture"
I like the ability to be able to tell others that they are doing well in a timely and public fashion. It helps them know that I appreciate them and their supervisors know what they are doing well. It has helped unified the sales department with the other departments when we were quite ostracized from each other before. The mobile app does not mirror the online capabilities. If this is improved upon then it would be great because I don't always think about what I want to tell other people when I am sitting right in front of the computer. This is a simple way to increase morale. It is not the end all, but when you use this with other tools it will help further your goals as a company if your main goal is to become unified. I am just a user, but from my stand point this was a worthwhile spend and I appreciate that my company has impletented it. Prior to using Motivosity the team atmosphere was non-existent. We have become a lot more team-oriented as we have been able to show appreciation to each other in a simple way that is easily accessible on any computer or phone. "Motivosity: A Great Employee Recognition Program"
Motivosity creates an environment where employees can see awards, thanks, and recognition for everyone in the company. It gives opportunities for executives and entry-level employees to interact and share their wins for the week. The ability to allow in office purchases like company swag, and offer gift cards makes for a happy workplace! There are a few bugs with the mobile app that can occasionally cause issues with orders, but Motivosity has always remedied these issues in a short time. Motivosity will not let you down. Your company and employees will thank you for giving it a shot. We have many work from home agents, who don't have a lot of direct contact with their manager and coworkers. Motivosity allows them to feel seen for their hard work, and motivate them continually. It has enhanced our company culture by creating a warm and inviting environment. Each employee has a certain amount of 'dollars' to send out to others each month. This allows everyone to give and receive regardless of their position. "The perfect addition to the workplace. " Rewarding those who go out of their way to help you is always great. Motivosity makes it easy. It is a great way to be able to reward coworkers for doing a great job day in and day out. It makes the individual feel great receiving motivosity rewards from other coworkers, along with receiving the monthly or biweekly awards for safety, team player of the month, leaderboard, helping hand, etc. I also like the entire website set up. It is very clear and easy to use. The app is also nice. There is nothing to dislike about Motivosity. I enjoy the all the giftcard selections and how you can open communication with your coworkers to reward them for doing a great job. The only thing I would work to improve from your side would be the leaderboard section of the app. I haven't been able to find it if it is there. It is a great busisness tool. Can't go wrong here. Makes the workers happy and serves a great purpose. I think it is great for business's that require you to work with one another. Being able to reward someone who helps you out is a terrific idea. It motivates people to go out of their way to help you if they see you have a lot going on. It also helps give them an extra boost if you see they are stressed and need that jump start to keep them motivated. "Motivosity has brought us closer as a company"
I love that there is a leader board and you can see who has been active on motivosity. I also love that you can see people's birthdays and interests and get to know other employees. Love that is shows who you haven't thanked in a while so you know who to show some appreciation towards. I like that it offers you the option to fill out the survey about how you're feeling towards your job/position. It think it would be awesome if there were more features available. Some benefits are I've gotten to know more people in our company including their interests, birthday, etc. It's definitely brought us together as a company as more people know how much what they do is appreciated. "Great way to recognize team members... and to get recognized!!" Having a way that is fast and easy to recognize when one of your co-workers goes above and beyond. It takes only a minute to do it, you include a nice message as a shout out and best of all... Everybody LOVES to get Motivosity at our company! So far... the experience has been great! It's a good idea to save a few dollars for the end of the month, so if you want to recognize somebody you are not out of dollars. But remember to use your Motivosity dollars before the end of the month! In any company there needs to be cooperation between employees. Motivosity makes it easier to recognize who not only is "doing his/her job" but also who goes the extra mile to help when is needed. It is simple for everybody to use, and the recognition (and the dollars!) are really appreciated! "Motivosity is my favorite way of saying thank you"
My favorite thing is being able to thank my coworkers in a really meaningful way. If I have someone go out of their way to help me with something, a simple pat on the back doesn't feel to great. Getting a motivosity message does. One thing I'm not a huge fan of is that the site is trying to be pretty social media like...I don't use any of those features, I just like thanking people. I would say the biggest factor to consider is how your employees interact with each other. If there's little collaboration and recognition of each other's deeds, I think it's a great idea. Motivosity provides us with a stronger and more tight knit workforce. People are far more likely to go out of their way to assist others. It also highlights the best of us on the leaderboard which can drive things like raises or bonuses. "Fun and easy to use program"
How easy it is to send and receive bonuses. Also enjoy looking at the news feed on the home screen. There really isn't anything I dislike about this program. It's very simple and easy to use. I recommend any company to move forward with this program. It truly has made the work environment a lot more fun. I don't have any dislikes about the program. The only thing I may recommend to Motivosity is enhancing their gift card options. They take care of all of the major gift cards and I have never had any problems with it. What I am recommending is maybe a reloadbale Visa card or something similar. There are people out there that may like that as an option. It's a perfect way to thank your coworker and it has made the work environment more fun! Motivosity helps me stay motivated and helps me show appreciation for my co-workers! It's an easy way to say thanks! It also shows me when I need to improve my attitude or the way I interact with my peers. Overall it is a good reminder! I don't have anything I dislike about Motivosity, It's been great. I just wish I had more money to give each month! I love Motivosity! I recommend this to anyone with a business who wants an easier way to show gratitude. It's an easier way to show appreciation for co-workers not in the office and helps us all stay connected! That Motivosity is generally the most efficient and effective way to recognize individuals who shine, both monetarily and emotionally. Also, that we can use the app to give money to those who are in need within our own organization. Stipulations for rewards purchased should appear before the purchase. For instance, I was awarded a $100 bonus and I purchased a Visa gift card to be use at a spa. Unfortunately, I didn't see the $3 physical card charge until after I had already purchased the card. I had enough to cover the charge, so it would have been helpful to know about the $3 fee prior so I could've entered $103 as the purchase amount. Take full advantage of the program, it is incredibly beneficial. Being that we employ over $1000 individuals, we find it beneficial and easy to give instant thanks to deserving employees and it helps drive quality performance. "great tool to show appreciation or to motivate others to do their best." it's a simple tool that is easy to use and provides excellent ways of giving and receiving small bonuses that can actually be useful to anyone and everyone. Excellent employees are able to earn a decent amount of extra cash. Since rewards are in the form of gift cards it is a lot easier to use towards something fun rather than a cash bonus in a paycheck. I like the different uses that different teams have come up with. I don't like the usage survey that comes up every time I login. I have not filled it out, but it should remember that I have had a chance to fill it out, or 50 chances to fill it out. The employee org chart is a little clunky and not easy to use. Do it. Find different uses of it. I know of some managers that will create competitions and have others chip in for a big win for an individual, or simple appreciation shown for different tasks. Focus on company values for ways of expressing thanks. I am able to get assistance on something that might otherwise be less desirable to do. Or I am rewarded for helping others out. I am also able to earn some awesome bonus money. "Motivosity helps motivate everyone in the office"
Motivosity is easy to use. Griving people money in Motivosity is super easy! Motivosity has several gift card options so you actually want to use the benefit. It's also super easy to redeem, with Motivosity giving you access the the gift card immediately. The ranking system and showing when you last gave people Motivosity dollars helps you see on the fly if you've thanked someone recently. The gift cards have a minimum purchase price. So if you only have a few Motivosity dollars you can't redeem anything. The minimum is generally only $5 and I suspect that it's a limitation set by the store the gift card is for. I don't know for sure (I'm on in HR), but I suspect you have to pay for each employee's giving money. Something to consider. Our company does $10 per month the recycles every month. So if you don't give it away it can be wasted. It can be difficult to find ways for your employees to feel appreciated. Motivosity makes this easy by giving all of your employees a way to reward each other for help received. That makes it so the rewards don't have to come from management but from the employees themselves. It has been a fantastic way to boost morale and motivation around the office. The recognition abilities are great and there are lots of way to use the money that you have earned. Its a great way for people to show that they are thankful for what a coworker has done or accomplished. I have not found anything that I dislike. I would like to be able to see the names of the thumbs up people on the awards given. Great product, easy to use and helps boost morale. Keeps your teams connected and encourages greater interactions. I would recommend this product. It helps organizations that are separated geographically stay connected and work as a team. I have felt like my contributions have helped make a difference when I see recognition from other teams. You can feel part of the bigger picture of the organization. "Fun and easy way to show appreciation"
I love how easy it is to express appreciation for my colleagues and coworkers. 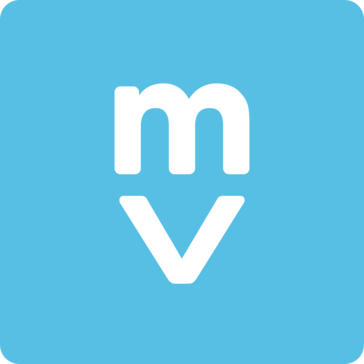 I look forward to using Motivosity because it allows me to show appreciation for work, acts of kindness, support, and more. People are more likely to treat others, and take time to provide positive words of affirmation to those who embody the company culture and a positive attitude. I dislike that I rarely have the opportunity to "thank" those that I don't work with. I wish there was a good way to say something nice, naturally, without reason. It can become a bit of a popularity contest, given that those that don't interact as much are less likely to receive praise. Sales/Marketing team members and managers seem to have the advantage. It is absolutely a worthwhile teambuilding tool. Company values and culture are in front of us in Motivosity and it is easier to consider them in day to day interactions. It is great to be able to say thank you with Motivosity money when someone brings bagels or snacks. Motivosity has been a great tool for our team, allowing us to give virtual "kudos" to our colleagues to show appreciation. One feature that our company has especially enjoyed is the ability to nominate others for awards. Whether it's a Call Leader award, Employee of the Month, or Ping Pong Champion, it's a great way to try getting everyone involved and motivated. It's definitely a perk to have prizes available for the team to cash in for once they accumulate the required amount of dollars. Our company was also able to add customized prizes, such as gear with our company logo on it - hats, t-shirts, etc. We have run into some issues when nominating colleagues for Employee of the Month. When we first launched Motivosity, our administrator was able to post the nominations on the winner's page, so they could read all of the fun things their co workers said about them. After the first month, this was no longer the case and the winners aren't able to see this information. It would be nice for our administrator to be able to edit each user's motivosity dollars, should anything need to be adjusted. If you're looking for ways to get your team to interact and grow, learning about each other on the way - this is for you! Motivosity has been a great team building tool, helping us get to know one another with the personalized profile pages. We have several departments within our company and it's a great way to get everyone involved, interacting with people they usually would not talk to on a day to day basis and just really allowing us to work as a team. Motivosity allows employees to "love" on each other. The ability to grow relationships and recognize each other is very beneficial and a great resource to accomplish those objectives. Every organization wants to customize to match their culture. The restrictions and/or limitations due to development makes that goal hard to achieve. There needs to be an integration to the human resource onboarding products, like ADP, that manages new employees. Integration between these two products will allow for automation of account set up and creation, where we are not having to exhaust human resources for something technology, should be able to do. Additional development work is needed for mobile as well. The desktop web browser version has more functionality but mobile is still very limited. Integration with company stores would be a nice addition as well. Not trying to resolve, but provide a framework and platform that allows for continued cross department collaboration, team work, recognition, and continue to make WGU a great place to work! "Without a doubt, best program out there." I like the simple, visually appealing interface. It's easy to use, which translates (most importantly) to utilization by our employees. Before, we were using a program called Workstars, and it was difficult to use, clunky, and not at all intuitive. Motivosity is, without a doubt, the best employee recognition program in existence. I dislike that I can no longer easily add money for more than one employee. The "add money" feature now requires searching for the specific user's name, which is inconvenient. Additionally, I dislike having to enter an administrator password every time I add money or make changes in the storefront. Take the leap. Your employees will love interacting with each other on the platform, and it's a fun way to conduct surveys and gather information, like what your employee's personality types and interests are. It's fun to see who would work well together that you may not have initially considered someone who's "like" you. We've solved the amount of time and effort it had previously taken to reward and acknowledge employees for doing exceptional jobs. The benefits are that we no longer have to maintain records for employee engagement, and the culture perpetuates itself. "Easy to use and makes peer recognition simple"
I like that Motivosity is easy to use and makes it simple to recognize those that go above and beyond in a fun and meaningful way. The dashboard feature and feed are a great way to keep up with current appreciations and company info. I like everything about Motivosity and I haven't found any downsides thus far. Great tool to implement for companies looking to reward thier employees and promote a positive work envioronment where everyone can show appreciation to fellow employees. It is easy to use and simple and offers great customizable rewards along with a dashboard that allows for tracking of appreciation recieved and other company annoucements. Allows for peer recognition and gives motivation to go above and beyond. "Employee recognition and work team development"
I love that Motivosity provides a space for employees to recognize one another! It gets the team excited to appreciate one another hard work, and when one is appreciated they work their BEST! It gives the team a place to get to know eachother as well with the personality test- Appreciate one another. The team like receiving their Motivosity dollars and using them to treat them self. "motivosity is a fun and creative to recognize your peers "
Motivosity lets me communicate with other members and departments of my company I never would have been able to show praise when I may not be able to do so without motivosity being available to me. getting to know more of my company member. I would never even know the names of other department members if it was not for motivosity. Motivosity gives employees an opportunity to meet more members of there company. previously the only way you could have gotten to know someone at alpha is if I work directly with them. "Loving your neighbor how Motivosity helps"
This is hands down the most fun, and easy to use social app I have ever experienced! I love the fact that I am able to show love to my co-workers at any moment of the day! It's simple to use motivosity and it is a great tool to engage people from across all different departments of Mint Dentistry. Everything is great!! Only thing I would change is maybe adding a section for pictures to show off the things you love in life. The most noticeable change motivosity has provided is appreciation across all level of Mint. You can shout out people that you may not get to work with every day or even see for that matter. It gives people a opportunity to shout out people who may think their work is going unnoticed. "Motivosity makes sharing company accomplishments EASY!" My favorite thing about Motivosity is how easy the program makes it to share the daily accomplishments team members make every day that usually go unnoticed by the company. This increases the overall morale of employees because they feel appreciated. I would like there to be more reminders to get on Motivosity and share/give thanks maybe once a week would be nice. "Motivosity; an engaging resource to provide positive reinforcement and incentives to your team." Recognition and positivity in your workplace is a powerful motivator. I specifically enjoy the fact that everyone, no matter if you are an introvert or extrovert, enjoys being praised for the work that they accomplish and how it features both public and private commentary that is positive between team members. Currently the thing that I dislike is that some of the upper level management have not yet tried to use motivosity. I understand that they are not necessarily incentivized as far as receiving the $5 bonus money however it would be nice to hear their positive feedback every once in a while. I would recommend the use of Motivosity to companies especially if the company has morale issues, multiple locations, or are looking for a way to incentivize their team members in a positive way. From my perspective Motivosity when used correctly, can impact a career and can have long reaching benefits. Instead of continually hearing constructive criticism there is an outlet for compliments and reinforcement that you are doing a good job. I like that you receive a dollar amount every month to recognize a coworker who has gone out of their way. It not only recognizes them for everyone to see, but they are also rewarded with a dollar amount. There isn't a great variety of gift card options for our employees in other countries. Employees in other countries are constantly asking for specific gift cards, but Tango (third party) can only offer so much. Motivosity has been a great way to recognize people for what they accomplish. Often times people will go out of their way for a project and managers are great at recognizing them via Motivosity and attaching a dollar amount to that recognition. It has helped employees feel appreciated for what they do. I thoroughly enjoy the ability to offer encouragement and recognition in a quick and efficient way. I can't think of anything right now. I know that's not helpful. There are some minor UI/UX frustrations on occasion as I am attempting to find something I know I saw at one point or another. Our staff has been able to recognize one another and feel recognized for work accomplished cultural involvement, and a job well done by individuals who don't work in the same building as they do. This has helped develop a real team feeling amongst the group of them. "Great platform for recognize good work and build co-worker relationships"
Motivosity is a great platform to be able to recognize one another in the workplace in a social networking setting. It provides an easy way to publicly recognize and show appreciation for a job well done. Wish you could go back and edit a comment. Really nothing else I would change. User friendly and nice, clean platform. Use this product to improve your Company's internal relationships and build morale. I feel that we are solving the way to thank colleagues in a manner that recognizes them in front of management and others. I have been able to receive appreciation for things I do which builds moral and the ambition to continue working hard. "Great product to build your team"
Helps bridge the divide between teams. I love that we are all able to get to know each-other and give one another the support and recognition that helps keep you motivated to work well. I don't love the amount of money that we are given as I fell like more money would just mean more recognition, although I realize this is a setting set by our office. This product will help your employees be more motivated and come closer together as a team. Motivosity honestly helps motivate and inspire our agents to strive for greatness.Seeing that someone appreciates you helps and Motivosity makes it possible for everyone to recognize everyone. "Motivosity should be required at every company"
Motivosity is a way that I can show appreciation to my fellow employees is a way that they can use. Not just a bunch of words or a piece of paper. Something they can take to the bank. The leader board is not really useful. I don't understand how people get points or really what the purpose is. Motivosity is a great tool that can help any company. It is a low cost way of allowing employees to give to each other and show their appreciation. I have recommended Motivosity to several friends and former co-workers. A tangible way of saying thanks to someone or telling them that they have done a good job. I like the constant prompt for me to express gratitude more formally. It's helpful to have this reminder for something that should be more natural, but needs some reminding from time to time. I love that the money gifted is essentially cash because it can be used for Amazon. I'm not a fan of the "leaderboard" concept. I'm not sure that really motivates people. There are features in motivosity that I don't use, like insights etc. The award feature is a little clunky. I also really dislike the constant surveys. I would recommend this product if you are serious about creating a collaborative and positive reinforcement culture. It has done wonders for us to improve employee satisfaction and engagement. Collaboration and a culture of positivity and encouragement. The ultimate objective is to increase employee satisfaction and engagement as represented by annual surveys. People need to feel heard and they need to feel recognized for their great work on a continual basis. "The greatest employee motivation/appreciation tool I've ever seen in any organization." I like the fact that it constantly reminds me that I need to be showing more appreciation to my fellow coworkers and employees. I wish you could attach images/gifs to your posts! If you're not certain, give Motivosity a try. It's a great tool for motivating employees to work hard and give positive affirmations. When someone on my team is frustrated with a fellow coworker, I suggest they give that person a Motivosity dollar and write them positive feedback. I've found that this usually takes away the frustration that my team member has for the other person because they're forcing themselves to only focus on the positive traits of the person. "Created long last bonds of friendship and motivation"
I like how it has brought all of us together and with the power of friendship we can overcome any obstacles. We now know how much we cherish each other and we can use the power to push forward and tackle any challenges we face knowing that we are well supported by each other. It has created an open dialogue between all of us and when we start talking, we start accomplishing. It's weird that you have to do full $1 increments. We are solving the fact that we can not recognize our friendship. "Super easy to send a token of your appreciation." I like how easy to interface with each other Motivosity is. People can send a little thank you for a task. It makes giving positive feedback easy and takes out the awkward moments where you just want to say thanks for doing an extra good job. I wish the reporting features were a little more robust. The "Insights" section sometimes seems to have problems pulling data. Overall though it is very good system. I wish my company would use additional features like the engagement questions/surveys. How to say thank you and provide a bonus. It isn't usually large, but the $ does add up. People work a little harder when they know that their hard work will be recognized. * We monitor all Motivosity reviews to prevent fraudulent reviews and keep review quality high. We do not post reviews by company employees or direct competitors. Validated reviews require the user to submit a screenshot of the product containing their user ID, in order to verify a user is an actual user of the product. Hi there! Are you looking to implement a solution like Motivosity?